As a homeowner, you likely take pride in the beauty of your property. From your expertly designed kitchen to the flow and mood that the paint colors provide, every aspect of the home can be improved for more long-term value and enjoyment. Many DIYers invest their time and energy into interior renovations, neglecting their exterior elements in the process. In many cases, the aesthetics of your landscaping can help to truly define your property’s curb appeal. Homes and businesses that possess loose, deteriorating walkways will quickly realize the negative effects that an unprotected surface can wreak on their property. All across the country, clients have been benefiting from the quality products offered by Howell Pathways. After combining with Klingstone Paths, we are now able to provide the best pathway stabilizers to Texas, California, and beyond with cost-effective results that are sure to hold up to daily wear and tear. Our team has created a polyurethane sealer that binds your loose materials, creating a cohesive surface that is both permeable and ADA-compliant. We understand the value of aesthetics when it comes to landscape design. Today, our blog post will provide a batch of useful tips to help you make your home landscaping as beautiful as possible. If you’re completing a DIY garden path or you are looking to protect your landscaping for the long haul, be sure to call us for an estimate today! The beauty of your home’s landscape relies on creating natural wonder in a controlled environment. Every element of your outdoor space needs to work in tandem with one another for the best results, and one smart task to aid in this process is to install clear edges. Visible edging materials can help you to organize your garden space. This is very beneficial for those hoping to grow their garden this summer while avoiding tracking in sand from their nearby beach section complete with a fire pit and colorful umbrella. If you’re an avid gardener, the last thing you want is for guests to not to see the boundaries of your yard and begin stepping in delicate areas! Keeping your outdoor space clearly defined and organized also provides a major aesthetic benefit. Homes that provide clear separation from their grass, mulch, gravel, concrete, and other landscaping materials will help to create a space that is clear and organized. Many homeowners and property managers focus on the beauty of their landscaping that they fail to focus on quality at its source — the soil. There are many things that affect the quality of your soil, and taking the steps to remedy this issue can result in greener, lusher growth. If your garden is not yielding beautiful results, it may prove beneficial to test your soil. Numerous products are available to balance the pH levels if needed. Additives can also make your soil more fertile, resulting in better results that you’ll be proud of! 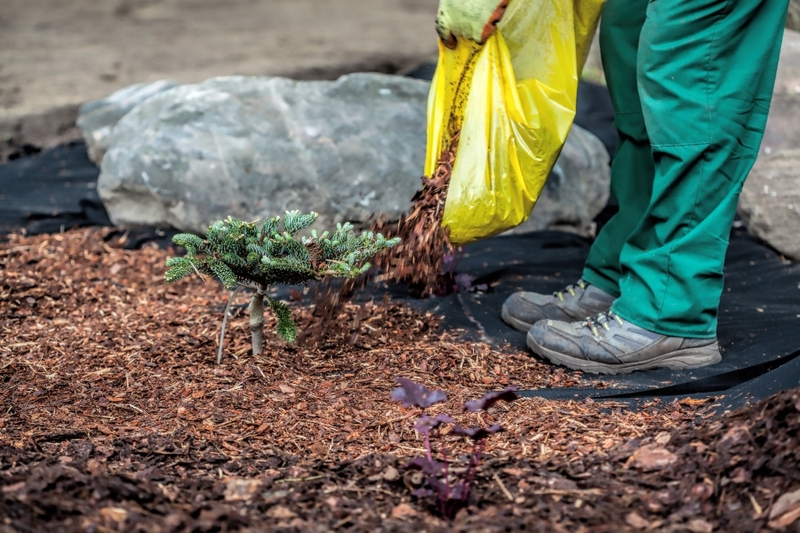 One cost-effective component that can protect and enhance your plants is mulch, a natural material that does far more than look good. Moisture retention is one of the most advantageous parts of adding mulch to your garden beds, retaining water to ensure proper hydration for your plants. This water-saving effect helps to cool the area, especially when compared to highly reflectable materials that do not reflect heat. Mulch also helps to stifle weed growth, giving homeowners more power to stay on top of this endless chore. If your soil is not looking healthy, keep in mind that mulch is natural and will break down over time, adding nutrients to improve soil quality. Overall, this cost-effective landscaping material can be very useful for DIYers in need of a versatile garden solution. There are many ways in which you can improve the aesthetic appeal of your home garden. 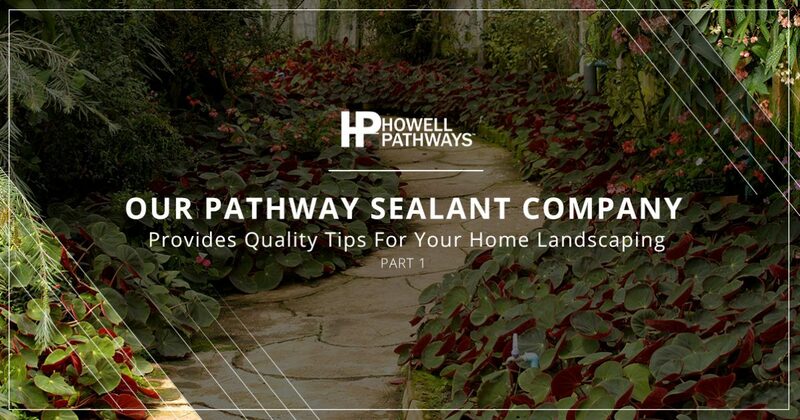 Next time, we’ll conclude this post by discussing the importance of irrigation and the advantages of introducing a polyurethane sealant to retain the quality of your landscape. 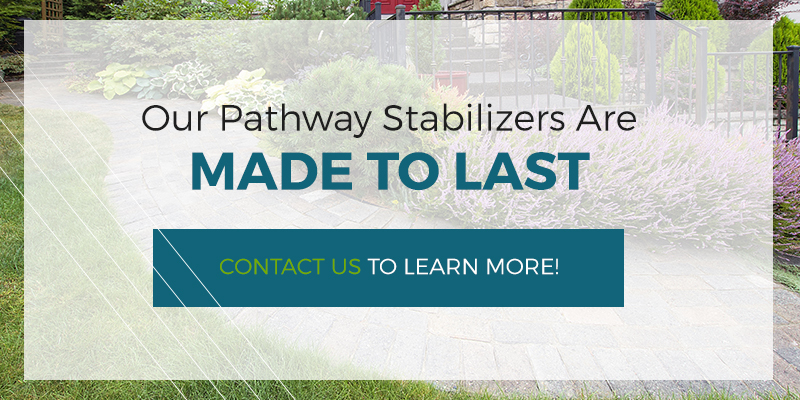 If you’re in need of a pathway stabilizer in Texas, California, or anywhere across the U.S., Howell Pathways and Klingstone Paths have partnered to provide you with an amazing solution. Our patented gravel stabilizer is built to be durable, versatile, and long-lasting to keep your property protected for the long haul. Contact us today to receive a free estimate for your property’s needs!